New insights into soil temperature time series modeling: linear or nonlinear? Soil temperature (ST) is an important dynamic parameter, whose prediction is a major research topic in various fields including agriculture because ST has a critical role in hydrological processes at the soil surface. 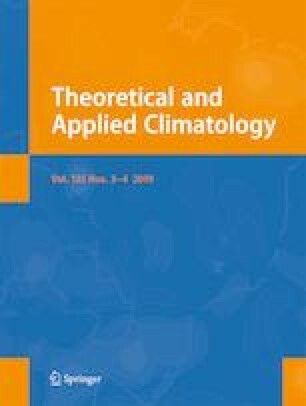 In this study, a new linear methodology is proposed based on stochastic methods for modeling daily soil temperature (DST). With this approach, the ST series components are determined to carry out modeling and spectral analysis. The results of this process are compared with two linear methods based on seasonal standardization and seasonal differencing in terms of four DST series. The series used in this study were measured at two stations, Champaign and Springfield, at depths of 10 and 20 cm. The results indicate that in all ST series reviewed, the periodic term is the most robust among all components. According to a comparison of the three methods applied to analyze the various series components, it appears that spectral analysis combined with stochastic methods outperformed the seasonal standardization and seasonal differencing methods. In addition to comparing the proposed methodology with linear methods, the ST modeling results were compared with the two nonlinear methods in two forms: considering hydrological variables (HV) as input variables and DST modeling as a time series. In a previous study at the mentioned sites, Kim and Singh Theor Appl Climatol 118:465-479, (2014) applied the popular Multilayer Perceptron (MLP) neural network and Adaptive Neuro-Fuzzy Inference System (ANFIS) nonlinear methods and considered HV as input variables. The comparison results signify that the relative error projected in estimating DST by the proposed methodology was about 6%, while this value with MLP and ANFIS was over 15%. Moreover, MLP and ANFIS models were employed for DST time series modeling. Due to these models’ relatively inferior performance to the proposed methodology, two hybrid models were implemented: the weights and membership function of MLP and ANFIS (respectively) were optimized with the particle swarm optimization (PSO) algorithm in conjunction with the wavelet transform and nonlinear methods (Wavelet-MLP & Wavelet-ANFIS). A comparison of the proposed methodology with individual and hybrid nonlinear models in predicting DST time series indicates the lowest Akaike Information Criterion (AIC) index value, which considers model simplicity and accuracy simultaneously at different depths and stations. The methodology presented in this study can thus serve as an excellent alternative to complex nonlinear methods that are normally employed to examine DST.